Manitha Neyam Trust hosted the Deepavali Light Musical Treat (a full-fledged Tamil concert) on October 14th 2017, featuring a group of very talented young New England singers at the Chinmaya Maruti Center, Andover. The fundraiser which was attended by 250 people raised over $20,000 towards their vision of igniting universal passion and love for humanity that will steer current and future generations towards a world of peace, opportunity and happiness. Manitha Neyam Trust (aka Love for Humanity Trust) was formed in Sri Lanka, USA and UK in 1999 to help the orphans, differently-abled and elderly who were affected by the ongoing civil war in Sri Lanka at that time. Although the war is over for more than eight years now, the need to uplift the down trodden is far from over in that country. There are still many students in the north and east who need assistance to complete not only Elementary, Middle & High school, but also their college education. Ashwin Aravinthan welcomed the audience and dedicated the event to Late Mr. V. Kailasapillai (Founder of MNT in 1999) who passed away earlier this year. 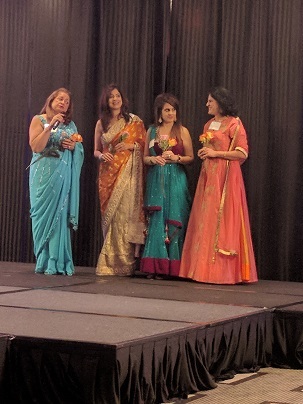 The stage was then handed over to the Compères for the evening, Anu Chitrapu and Sudha Lakshmi Rao, both of them no strangers to Manitha Neyam - Anu having compèred and Sudha having sung for their earlier fundraisers. Both Anu and Sudha kept the audience engaged and entertained throughout the evening with their light banter and trivia that was both humorous and informative. · Om Shivoham, from Naan Kadavul, a spiritually powerful performance by Guru Anandh that set the pace and tone for the evening. · Paartha Nyabagam from Pudhiya Paravai by Indu Subramanian who captured the Sowcar Janaki/P.Susheela magic with ease and grace. · Naalai Indha Velai from Uyarntha Manithan, by Rohini Sivamurthy who touched the high notes of this P. Susheela classic effortlessly and confidently. · Pudhucheri Kacheri from Singaravelan, brilliantly sung by Raghu Saranathan with the endearing help of the youngest singers for the evening, MadhuSri Saranathan and Ananya Narayanan. · Oodha Colour Ribbon from Varuthapadatha Valibar Sangam by Nirmal Ramu whose enchanting rendition had the audience up on their feet and dancing! · Aananda Raagam from Paneer Pushpangal by Vidhya Sudarshan that was both melodic and appealing. · Chandralekha (Konjam Nilavu) from Thiruda Thiruda, a most challenging song, performed with ease and grace by Swetha, whose range and full-throated rendition had the audience completely captivated. · Margo Margo from Sati Leelavathi by Guru and Rohini who recreated the hilarious Kamal and Kovai Sarala scene so entertainingly. · Maadathile, from Veera, not just sung but enacted by Indu and Raghu, attired in traditional Iyer Mami and Mama costumes, whose antics on stage had the audience in splits. · Usilampatti from Gentleman where Guru and Swetha sang and danced their way into the audience’s hearts. The group songs, En Kanmani (Chittukuruvi), Rojapoo (Agni Nakshatram), Veera Pandi Kottayile (Thiruda Thiruda) were well coordinated and came together nicely. Kannama (Rekka), Oru Kili (Ananda Kummi), Povoma Oorkolam (Chinna Thambi), Pon Onru Kanden (Padithal Mattum Pothuma), Germaniyin (Ullasa Paravaigal), Valaiosai (Sathya) and Santhana Kaatre (Thanikaatu Raja) and a rollicking foot-tapping medley were other enjoyable songs of the evening. The singers were emotive, energetic and enthusiastic; and the lively and merrily responsive audience applauded, whistled, shouted for encores, danced and sang along. A very informative and moving video of Manitha Neyam’s activities and how your donations help their various projects was screened during the break. On conclusion, Trustee, Mr. Mano Shan, proposed a vote of thanks and honoured the team who had worked so hard to make the show a resounding success. There were a number of kudos from many in the audience, appreciating the efforts of the music team, the sound engineers, the organizers and the volunteers. Here is what the singers have to say about their experience. 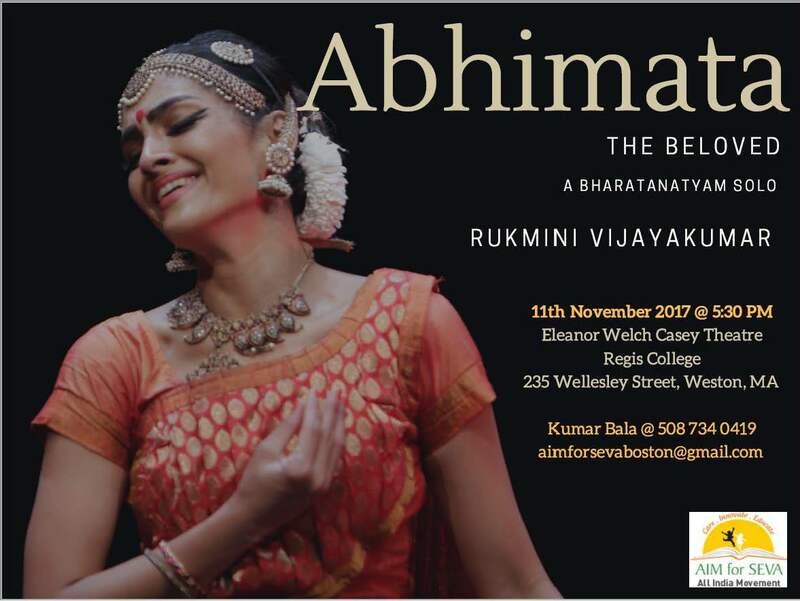 Rohini Sivamurthy (Research Scientist-singing for 10 years): Performing for Manitha Neyam Trust was very fulfilling and above all, the feedback from the audience was even more joyful and satisfying. Would love to do it again! Vidhya Sudharsan: (IT Professional-singing for 3 years) A newbie to Boston, so happy that this was my first concert here and to have performed with this bunch of professional and talented singers who are going to stay my friends for years! Thanks to Manitha Neyam for the opportunity! 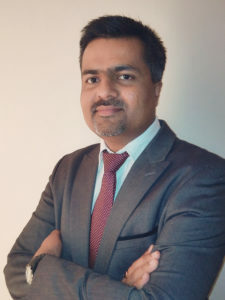 Raghu Saranathan (IT Professional-singing since 2003): I’m happy to do my bit for this noble cause. The Manitha Neyam team are amongst the kindest hosts – they really make you feel like family! Nirmal Ramu (IT professional-singing since 2013): I was fortunate to perform songs from different eras of music from MSV to Imman. Happy to see the same amount of enjoyment from the audience as we had with our practice sessions. Swetha R Siva (Research Scientist-singing for 3 years): The most euphoric moment of the night was when we were on stage for the final medley and people ranging from toddlers to grandparents were dancing their hearts out and singing along with us… and in this moment, we realized all our hard work had finally paid off. Indu Subramanian (Biomedical Research scientist-singing for 15 years): The same deep sense of satisfaction I get in finding cures for cancer and rare diseases is what I felt doing this fundraiser, giving meaning and purpose to my music that God has blessed me with. Best moment in the show was the encore for Maadathile song. Guru Anandh (Analytics Manager-singing for 10 years): Just loved the audience whose energy was highly infectious to all the artists and pumped up the whole event to totally another level of fun. Thanks to Manitha Neyam for the opportunity and would love to be a part of all your events in the future. 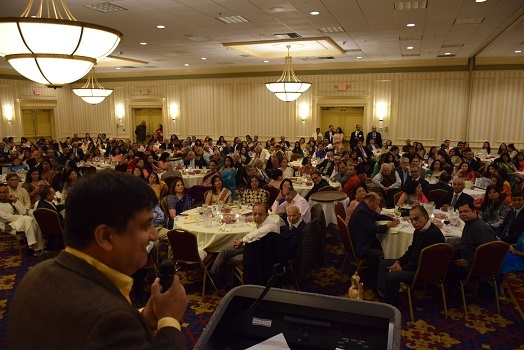 Sai Ruchira Bhojan (a Non-profit Organization of Sharon, MA, that feeds the poor in India) for Deepavali Sweets. Kolam – Handmade crafts and jewelry of Jaffna, Sri Lanka, displayed in the front foyer.